“The greatest invention there ever was,” said my neighbor. He was referring to bubbles while watching my children screech in delight as they ran around blowing and popping and laughing. Even this professorial neighbor who doesn’t offer much by way of conversation smiled and laughed. What a simple gift…. At the summer’s outset I accompanied a friend to an introductory meeting with a facilitator of a bereavement group. My friend had recently lost another life long friend to a sudden illness. As we sat there talking I was struck by a powerful image that the facilitator used. I couldn’t help but listen from a transition seat. Isn’t loss, after all, a sudden and sometimes unexpected trigger to transition? We learned from this intro that the bereavement group would informally discuss all sorts of emotions. Grief, sadness, guilt and anger. Unexpectedly the facilitator added anxiety. I asked about it. From the facilitator’s perspective anxiety went hand in hand with the uncertainty about the future that accompanied loss. Anxiety is best understood by imagining oneself ‘inside a bubble.’ Friends, neighbors, or well wishers can offer words of encouragement or even an informed perspective in an attempt to cajole us beyond the worry. Cheer-leading. Logic. You name it. It comes in all forms. While well-intentioned these remarks simply bounce off the bubble. Ricocheting in a direction opposite from the one intended. The person inside the bubble is the only one who can pop it. I loved the image. After hearing it I was disappointed in myself for all the cheering I’d done in support of friends and their various worry-filled pursuits. “What do you do?” asked an eleven year old, a schoolmate of my daughter’s. I hesitated. How do I explain what I do to a child? To an adult for that matter? Her mom and dad are both doctors. How easy. Four words. ‘I am a doctor.’ Four. An instant anchor. “I help women,” I think I said. I honestly can’t remember. I do remember my internal reaction immediately following the conversation. ‘ Too thin.’ ‘Meaningless.’ ‘Unfocused.’ Aren’t we our own worst critic? Despite the critical words I had for myself I have little real anxiety about the ineloquent descriptors I conjured that day. At the outset of my transition I had a lot of anxiety about my inability to describe who I was. I remember a dear friend remarked once, ‘you are really struggling with that identity thing.” Never were truer words spoken. I remember tear filled moments at my transition’s outset when I was sure that I’d never work again. Who was I, after all, if I wasn’t an entrepreneur or corporate executive or advisor? Early on the encouragement of others – of which there seemed to be multitudes – made me miserable. I guess it’s no surprise that this bubble image spoke to me. Today I’ve replaced anxiety with a quiet grace that is focused on a disciplined process for transition. Mine is still ongoing but has already yielded many gifts. Perhaps the most visible..a perspective that transition has its own right of passage. It requires us to traverse some early rough road in order to tap into its real energy. The risk? Stopping. Allowing the opportunity to float away unchecked. 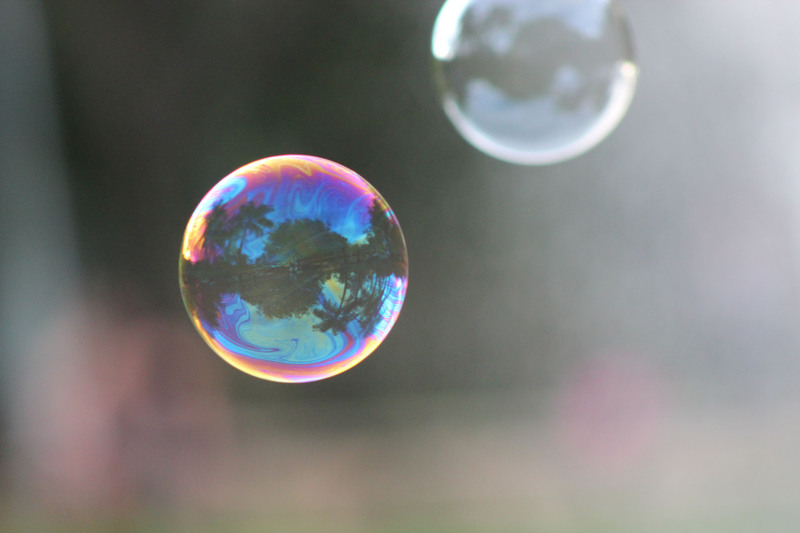 I’ve amended the bubble image for transition…. Imagine your transition’s gifts inside the bubbles. Your task? Pop as many as you can to see what you may learn. Run after them. Jump. Squeal. Play. Pop a few. Try again. Engage others. Just like my children and our neighbor that afternoon…you’ll be amazed at its simple powerful gifts. 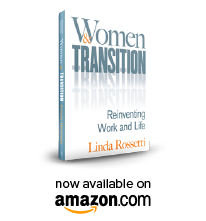 This entry was posted in Observations on Transition and tagged career transition, linda rossetti, observations from a women's transition, transition, women's transition, women's transition issues. Bookmark the permalink.